Soldiers line up spaced with pride, Two long rows lined side by side. One sole unit can decide, If the rows will unite or divide. Tell me, tell me, scream it out. What's the thing I talk about? 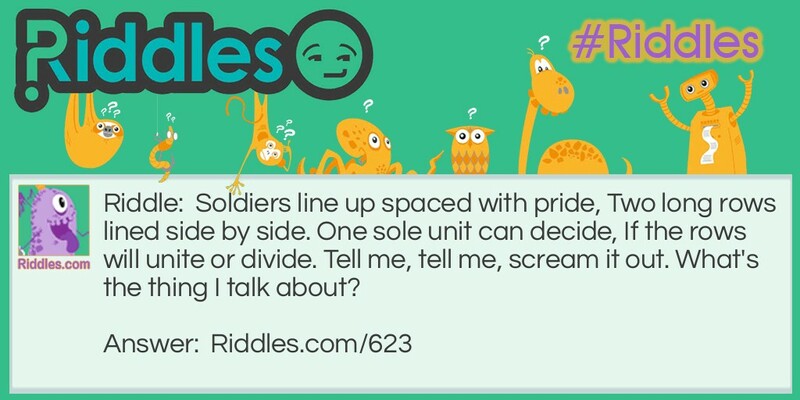 Unite or Divide Riddle Meme with riddle and answer page link.